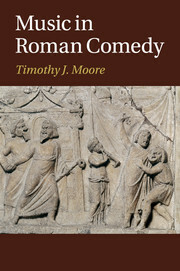 The Cambridge Companion to Roman Comedy provides a comprehensive critical introduction to Roman comedy and its reception through more than twenty accessible and up-to-date chapters by leading international scholars. 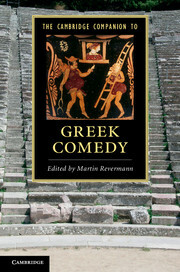 This book defines the fundamentals of Roman comedy by examining its literary and comic technique as well as its stagecraft and music, and then traces the genre's influence through the centuries. Roman comedy has served as a model for writers as well as artists ranging from Shakespeare to Molière and from Martin Luther to Cole Porter. Just as the Middle Ages spawned Christianised versions of Terence's comedies, in which harlots find God rather than a husband and young men become martyrs rather than never-do-well lovers, the twentieth century has also given us its take on Roman comedy with Stephen Sondheim's A Funny Thing Happened on the Way to the Forum and numerous modern versions of Plautus' Amphitryon. 22. Roman comedy on stage and screen in the twentieth and twenty-first centuries Céline Candiard. 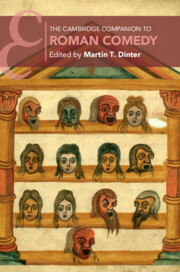 Martin T. Dinter is Senior Lecturer in Latin Language and Literature at King's College London. He is author of Anatomizing Civil War: Studies in Lucan's Epic Technique (2013) and co-editor of A Companion to the Neronian Age (2013) as well as three volumes on Roman declamation: Reading Roman Declaration: The Declamations Ascribed to Quintilian (2016), Reading Roman Declaration: Calpurnius Flaccus (2017) and Reading Roman Declaration: Seneca the Elder (forthcoming). 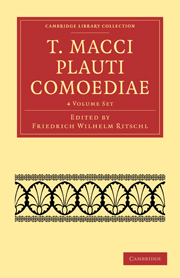 He has written articles on Roman drama, Roman epic and epigram, and is currently working on a book on Cato the Elder.